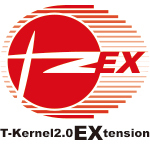 T-Kernel 2.0 Extension (T2EX) is an extension to add network and file system to T-Kernel 2.0. While maintaining the lightweight feature of T-Kernel 2.0, it adds middleware to meet the requirements of the latest embedded systems such as file system support and network communication. T2EX has a set of APIs that be called directly from tasks of T-Kernel, and thus can eliminate the overhead of using "process" and maintain the "real-time performance" and "compactness." Moreover, T2EX has the library compatible with standard C compatible library, and its API specification has been designed with compatibility and the affinity with POSIX in mind. So the porting of general C programs is easy and the development efficiency improves, too. 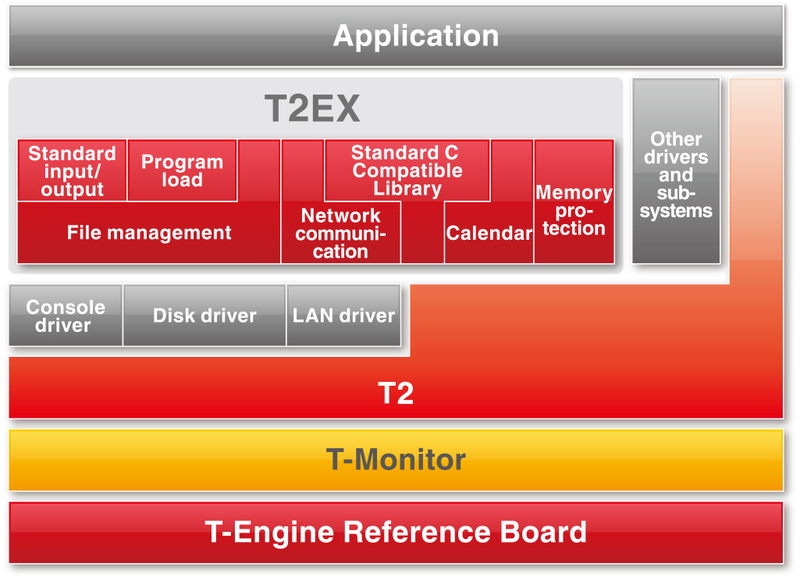 T2EX is used as an Extension of T-Kernel 2.0. A compact embedded device can be efficiently developed by combining the needed features among the following that T2EX offers and building the system. 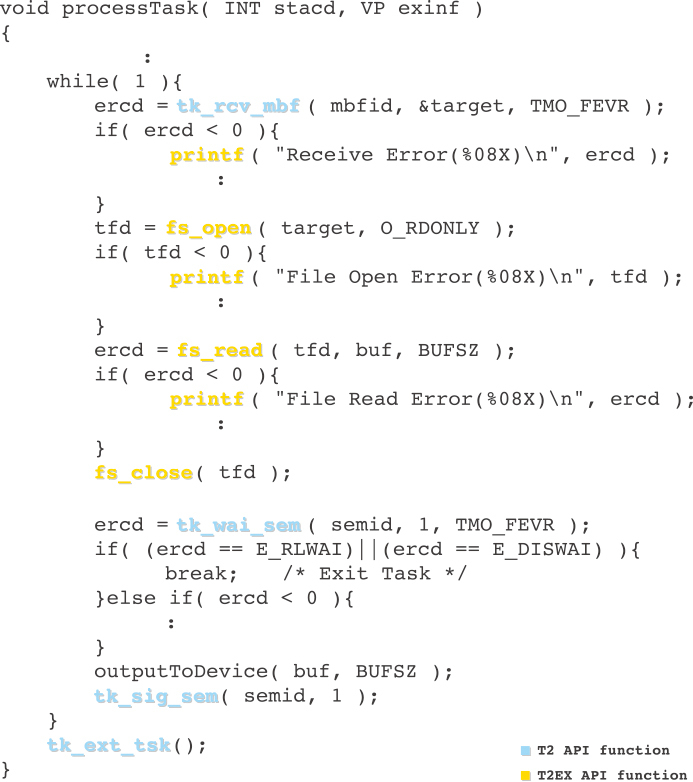 API of T2EX can be called directly from "task" of T-Kernel, and a fast real-time response is realized.